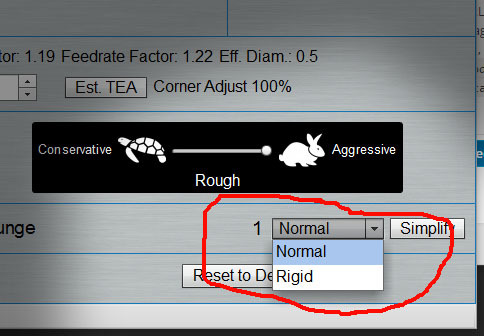 G-Wizard has the Tortoise Hare slider to make it easy for you to shade your cuts whichever way you want. Need to be more aggressive–slide it to the right. Need a finer finish–move it on over to the left. In the quest for higher MRR’s, there’s really no better place to start than to kick it into Full-On Hare. This setting is more conservative than many beginners think. Everyone should be able to run Full Hare unless conditions are unusually difficult or you have a very lightweight non-rigid hobby machine. Optimizing your Cut Width and Cut Depth has got to be the first priority if you know what cutter you’ll be using. There are so many trade-offs incorporated in your choice of Cut Width and Cut Depth that it’s going to decide a lot of the other decisions you can make, or at the very least it will constrain them to a smaller set of possibilities. Consider HSM toolpaths, for example. They’re hugely dependent on the Tool Engagement Angle which is determined by stepover or Cut Width. There are trade offs to be made there in terms of how much HSM can accelerate versus a conventional cut. And there is a definite sweet spot that maximizes those trade offs. It may not be where you think. 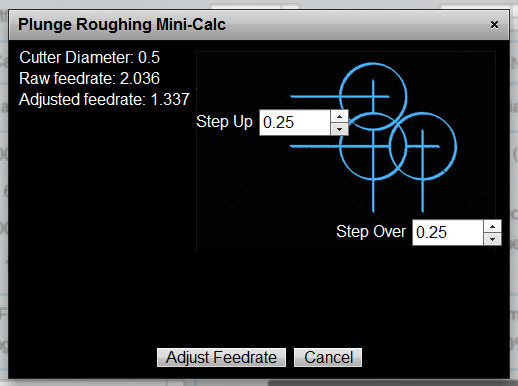 For optimizing Cut Width and Cut Depth for best MRR, I can think of no better tool than the CADCAM Wizards feature in GW Calculator. Not every machine makes its maximum spindle power at the most convenient rpm range for your particular cut. Another way CADCAM Wizards can help is they take into account your spindle power curve as they’re trying to find the optimal combination of parameters for your cut. You can also do some manual What-If games with a good Feeds and Speeds Calculator like G-Wizard. If you know, for example, that the rpms are way too low, perhaps a smaller cutter will kick things up to higher rpms where more power is available. HSM Toolpaths seem almost like magic–they can make your job go a LOT faster. They do this by avoiding the shock of jamming your cutter into a sharp corner where the cutting forces soar out of sight and can break the cutter if you are going too fast. But one of the issues with HSM Toolpaths is that figuring Feeds and Speeds for them can be a Black Art. 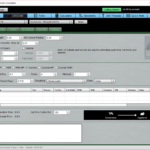 You need a reliable Feeds and Speeds Calculator that is well suited to HSM Feeds and Speeds. Some machinists think serrated or “corncob” roughers are Old School. That may be, but they really do work. The serrations result in smaller chips that are more easily cleared away. These cutters produce less chatter and they even lower cutting forces. G-Wizard Calculator is one of the few out there that actually figures all that into Feeds and Speeds for these useful cutters, so take advantage of it when roughing. 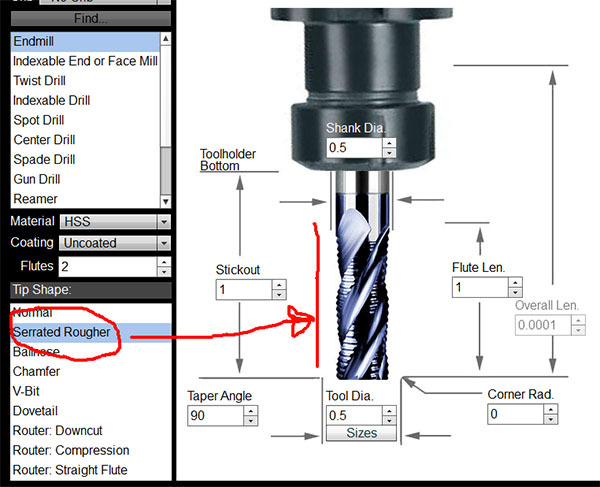 When it gets time to really start hogging, it’s hard to be an Indexable End Mill. Go ahead and specify one. Set up the Lead Angle if it isn’t 90 degrees. Maybe you’ve got a button cutter–set up a radius on the edge if so. All these factors will cause G-Wizard to crank up the Feeds and Speeds for higher MRR’s with Indexable End Mills. Last thing–give G-Wizard your Manufacturer’s Recommended Surface Speed and Chipload for your particular inserts. There are so many insert types out there, that you’ve probably got some that can exceed the generic lowest common denominator G-Wizard starts with by default. It’s easy to do this, and you can use the Tool Crib to keep the info around so you only have to enter it once. This article tells how to use Manufacturer’s Data. Using more flutes is almost like having a spindle multiplier on your machine. With 4 flutes, you can feed twice s as fast as with 2 flutes. Depending on your material, your choice in flutes may be limited. Or you may be able to get away with something here too. For example, we typically don’t want to run more than 3 flutes in aluminum–it runs higher chip loads and the way aluminum chips curl they need more flute space than other materials. Hence fewer flutes (1, 2, or 3) leaves more room for chip evacuation. But suppose you are taking very much width of cut and you’re peripheral milling. It’s easy for the chips to get out of the way, and you may find you can run a 4 flute in aluminum under those conditions. Try it and see. If it works, your surface finish will be nicer and you can feed faster for more MRR. In harder materials, and especially very hard materials where rpms must be kept low, we have the option of purchasing solid endmills with 5, 6, or more flutes. These fancy endmills will pick up your feedrates and your MRR’s if you can use them. You can use G-Wizard to work out the difference in performance and see whether it justifies that cost of a cutter with more flutes. This one seems obvious, but not everyone goes for it. Get the biggest diameter cutter that you can make work. Just because the cutter is too big to fit the inside corners of a pocket doesn’t mean it couldn’t be used to hog most of the pocket either. 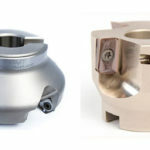 You’ll need a CAM package with REST machining to make it convenient to use a cutter with a larger diameter to rough than finish, but the results are worth it. This is especially true if you’re in any way deflection challenged as the larger diameter cutter can clear most of the material with its more rigid larger diameter format. Sometimes the issue with MRR can’t be solved with a Bigger Hogger and more power. Sometimes it is due to the feature being machined being difficult by virtue of its design. Extremely deep pockets with small corner radii are hard to machine–you need a small diameter (not very rigid) cutter that is overly long to reach down into such pockets. In these cases, having good awareness and control over your tool deflection is crucial. Work through some scenarios to see what’s possible with different combinations. Consider strategies like using a twist drill to clear the corners. Our recent article on Tool Deflection will help you to understand just how far you can push deflection limits in special circumstances like this, so take advantage of those guidelines too. Many experts say that chatter is the ultimate limiting factor for machining productivity. With enough power applied, you will eventually exceed rigidity limits of machine, tool, or workpiece, and chatter will set in. But while chatter may be inevitable if you push hard enough, there’s no reason you can’t delay the onset of chatter as much as possible to maximize your productivity. Machine: Every machine is different, even machines of the same model will differ due to differences of bearing pre-load and the like. Toolholder Model: The model of toolholder matters, but two of the same model will behave the same. Tool Model: The model of the cutter matters, but two cutters of the same model will behave the same. Stickout: The distance from tool tip to where it enters the toolholder matters. If we make all four variables match, we will get chatter at the same spindle rpms if we apply enough cutting force. The spindle rpms that are susceptible to chatter are Chatter Danger Zones. If you can avoid those rpms, you’ll be avoiding the resonant frequency of the chatter and you can push harder without having to deal with chatter. You can identify these Danger Zones in two ways. First, you can purchase equipment that can directly measure them and provide you with what’s called a Stability Lobe Diagram. The equipment isn’t cheap, but it works, and the Stability Lobe Diagram pinpoints your Chatter Danger Zones. If you don’t have the special measuring equipment, you can also rely on record-keeping. As mentioned, only four variables have to match to make chatter predictable. If you record the value of the variables together with spindle rpms every time you experience chatter, you will get the Danger Zones mapped out for your shop and its tooling and machines. You can then avoid these danger zones in future jobs. Sometimes rigidity is a problem, for example when the depth to tool diameter ratio is too large in a deep pocket with small corner radii. Or, perhaps on a smaller CNC machine rigidity is at a premium. 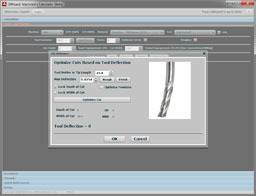 Most CNC machines are most rigid along the spindle axis. If you can concentrate the cutting forces so they are axial rather than radial, you can rely on that increased rigidity. That’s the premise for Plunge Milling where all the cutting action happens as a series of plunge cuts in the wall of the material. We talked about using G-Wizard’s Cut KB to map the Chatter Danger Zones above. You can also use it to map the edge of the envelope. Here’s the thing: you can exceed the recommendations of both Feeds and Speeds Calculators and even Manufacturers in many cases. The trick is in knowing when and by how much. The recommendations have to be based on worst case lowest common denominator scenarios. Any variable that can’t be accounted for has to be assumed to be worst case. Now G-Wizard considers over 60 variables in its calculations–many more than most–but even so, there are variables that have to be kept worst case. Let’s take an easy example of what controlling just one variable can do. We’re all familiar with HSM Toolpaths. 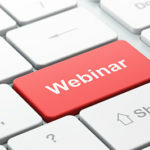 The difference that accounts for their phenomenal performance increase is they’ve controlled just one more variable–the tool engagement angle. For regular toolpaths, we have to assume the worst case of corners, and that slows everything down. Here’s another example–flood coolant. We’ve all seen the extremes. On a machine without an enclosure, “flood” coolant is often more like “trickle” coolant because the operator doesn’t want to get soaked. But with an enclosure and a good coolant system, it looks like a car wash in the window–you can barely see the work. There is most definitely a difference in the allowable feeds and speeds for these two cases, but G-Wizard has to assume lowest common denominator. To get an idea of what’s possible, just play with the premium coolant options (more on how to do that below) and see their effect on feeds and speeds. I hope you can see that there are variables unaccounted for. If they fall in your favor, you can go faster than the recommended feeds and speeds. The only way to know where the edge of that envelope may be is to test. Try increasing your feeds and speeds 10% on a run. If all is well, record that info and increase another 10%. Eventually, you will decide you’ve gone too far–tools are breaking, tool life is lousy, or surface finish is unacceptable. You’ve just found the edge of the envelope for the particular set of variables on those parts. That’s extremely valuable information. The purpose of G-Wizard’s Cut KB is to facilitate the record keeping and to make it easier to refer back to previous successes and failures as a guide to adjusting your feeds and speeds for maximum performance going forward. One thing you may discover is that virtually every job can go say 10% faster on feedrate on your brand new super high-end Horizontal Machining Center versus your somewhat aged VMC that needs new spindle bearings. You can set a permanent premium value on either surface speed (rpm) or chip load on the Machine Profile to build that advantage in once you know what it is. Here’s another variable–the exact inserts you’re using. With so many different inserts available in each style, G-Wizard has to assume a lowest common denominator. The same is true for premium endmills and other cutters. Try plugging in your manufacturer’s recommended surface speed and chip load. It’s easy to do and will get you a performance boost in many cases. This article tells exactly how to go about it. You can even use the Tool Crib to save looking up the information each time. 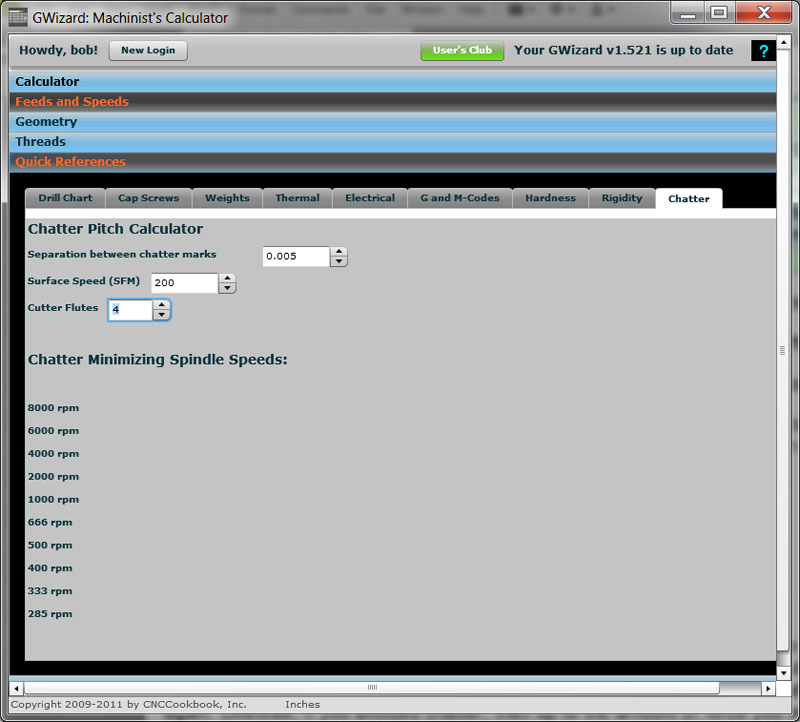 When calculating Feeds and Speeds, check the options on the Feeds and Speeds page to see their effect. They will be grayed out unless the Machine Profile shows they’re installed on your machine. BTW, this provides an excellent way to figure out the value of these options if you’re purchasing a new machine. Open it up, flip it over to “Rigid” and you’ll get a bonus. It’s there so you can tell G-Wizard whenever you have an extra-rigid setup that deserves a little more grunt in the cut. There you have it–15 different features to help you get higher MRR’s when using G-Wizard to calculate Feeds and Speeds. Go forth and shred even more chips, fellow CNC’ers! 45 or 90 Degree Face Mill – Which Gives Better Results?